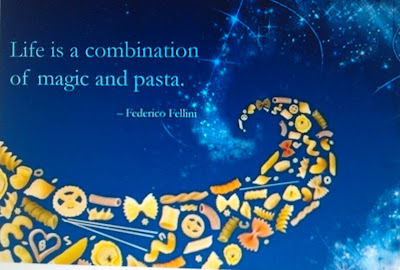 Brilliant sentiment...I am a huge fan of pasta. 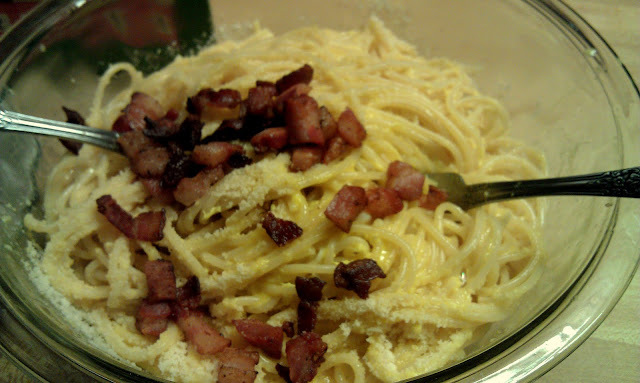 This Spaghetti Alla Carbonara was a very big hit. Maybe the quality of the eggs gave it a little extra oomph. Maybe. Last week, a very nice lady at work brought me a dozen and half eggs from her free range chickens. 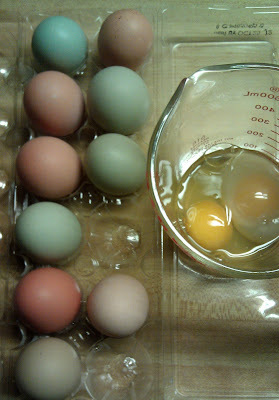 Some of the eggs are from Anacona chickens which have a green hue to their feathers and legs. They also lay eggs which are a pale green color...see below. They look like Easter eggs, don't ya think? The yolks from all these free rangers are very vibrant and rich, much the same as you see on Nigella Lawson's show or pictured in her cookbooks. 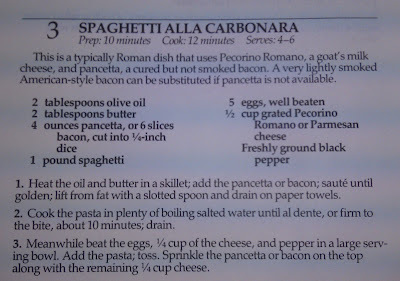 It's an excellent recipe and it's super easy to prepare. 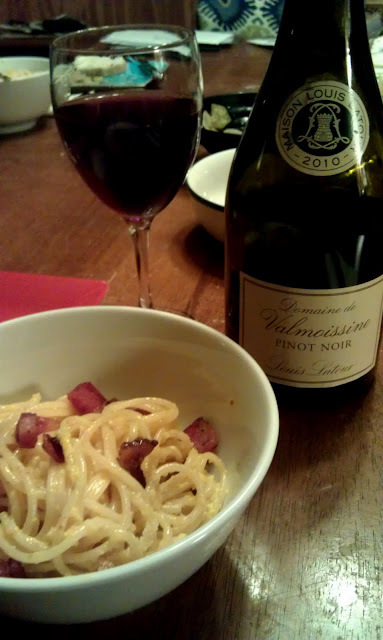 Serve in a glass bowl or some container that's a bit dressy. Hope your Monday is starting off well. Stay warm and safe! I have an email to you half written ... if I wasn't here dribbling I probably could be finishing it!